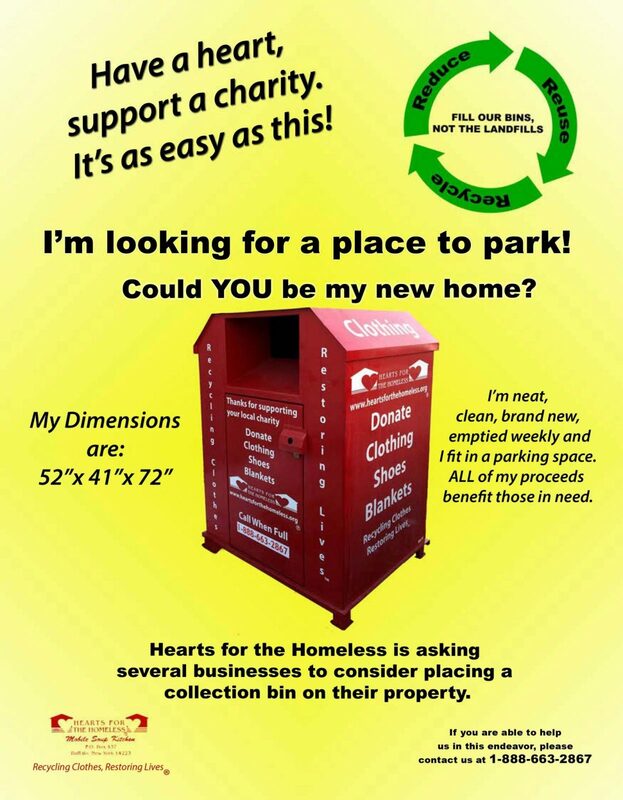 Hearts for the Homeless® makes donating space for a donation bin very easy. Hearts for the Homeless keeps the area around the bin clean, free of graffiti, and shoveled in the winter. Donation bins are fully insured, making them worry free for business owners. 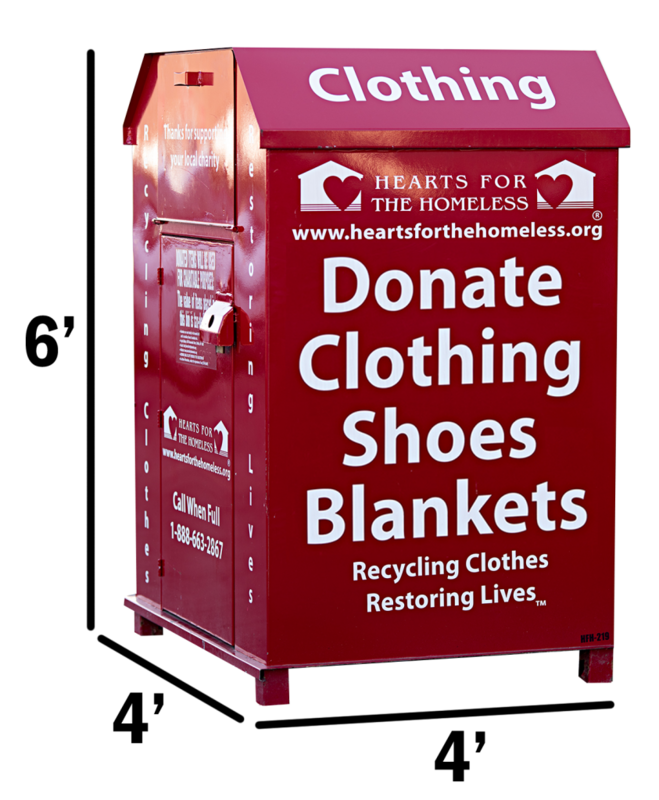 When a bin is full, Hearts for the Homeless® will empty the donation bin within 24 hours. Click Here for more information about hosting a donation bin.